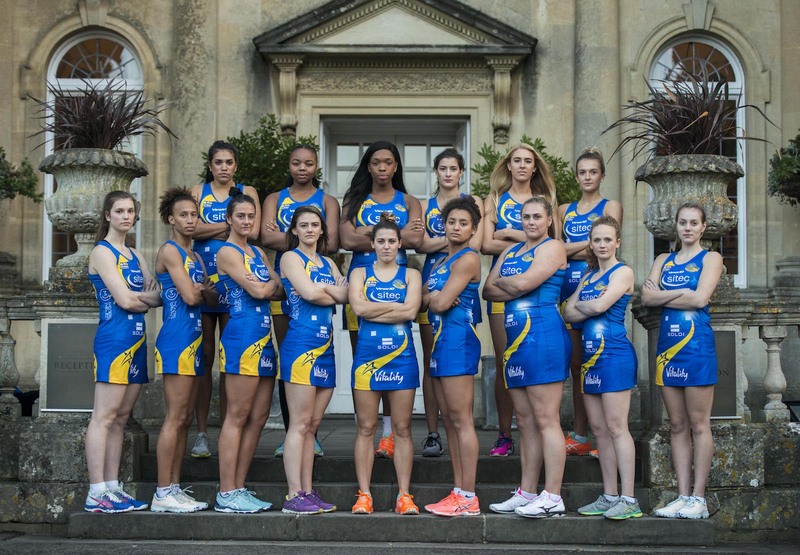 Page 4 | News | Vitality Netball Superleague | The United Kingdom’s top level, elite netball competition. Storm ended Lightning’s seven-game winning run in spectacular style with perhaps their best performance of the season. 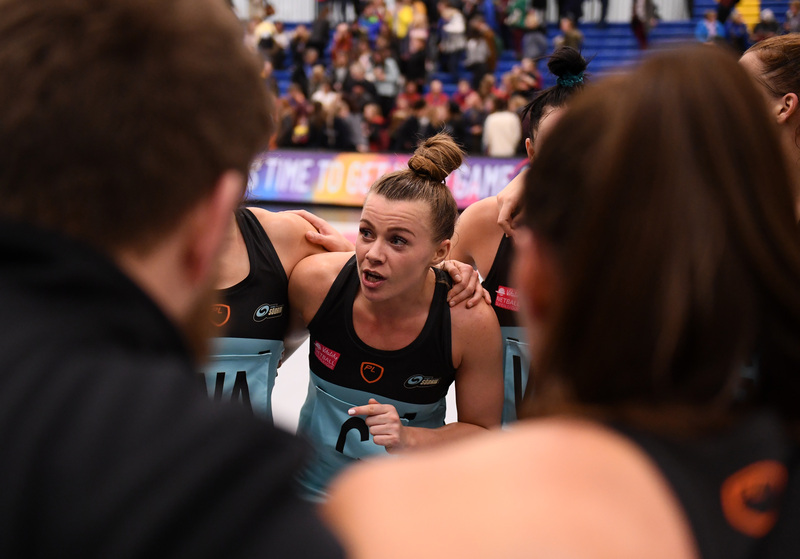 Only in the third quarter did Storm appear in danger of losing their lead, but a fourth quarter resurgence – inspired by the return from injury of Director of Netball, Mikki Austin – saw them close out a vital victory. Sigi Burger inevitably took most of the plaudits, shooting at over 90% to inspire Storm to a precious early advantage, but this was a fantastic team performance, full of energy, vitality and commitment built on a bedrock of brilliant defending. Burger was 100% throughout Q1 as Storm hit their assured stride to implement Austin’s high-intensity gameplan. A seven-goal lead at the first break soon doubled to 14 halfway through the second quarter as Burger’s height and movement continued to allow her to dominate the Lightning defence. Thereafter, though, Lightning began their comeback. As Reah Dixon replaced Yasmine Hodge-England at GA, Storm held out for a 10-goal lead at half-time. That was maintained at the start of Q3 but Lightning’s own defence, led by Vicky Oyesola, soon began to exert greater influence. 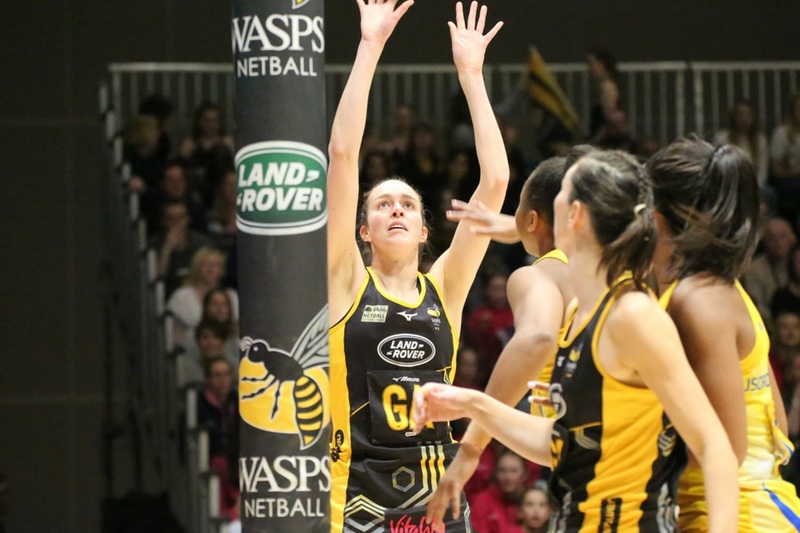 Mikki’s return at Centre, in place of Emily Gulvin, went some way to steadying the visitors’ ship but Storm’s lead was down to three at the end of Q3. Yet maintaining an advantage, however slender, would prove crucial in the final reckoning. 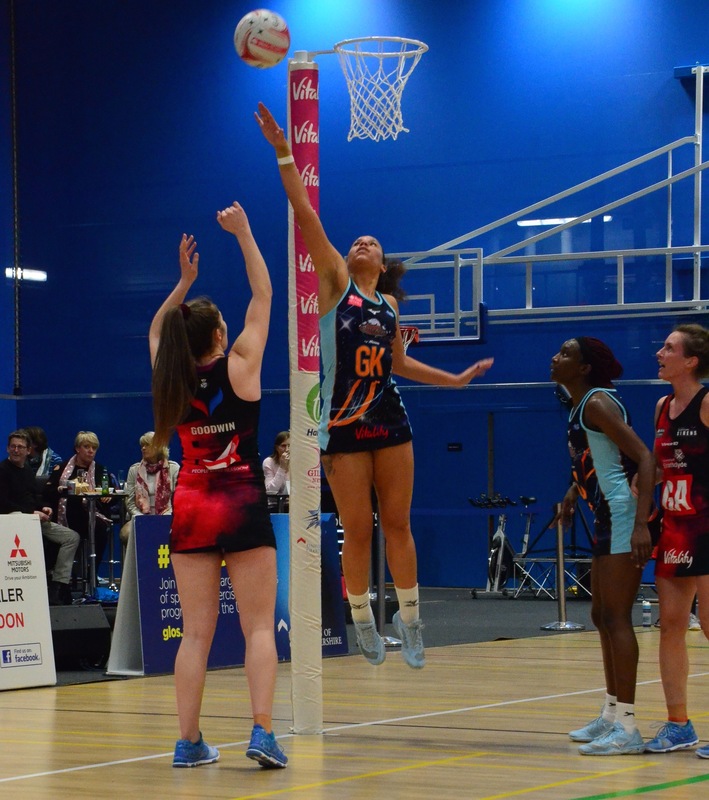 It was stretched back to seven early in Q4 as Storm re-asserted themselves, but Lightning were proving a hard habit to break. Yet even some particularly physical defending failed to stifle Burger’s prolific form and Storm still led by five with three minutes left. Only then did Lightning finally sense that this would be their first defeat in two months; one which Storm’s all-round team play ensured was a deserved one.